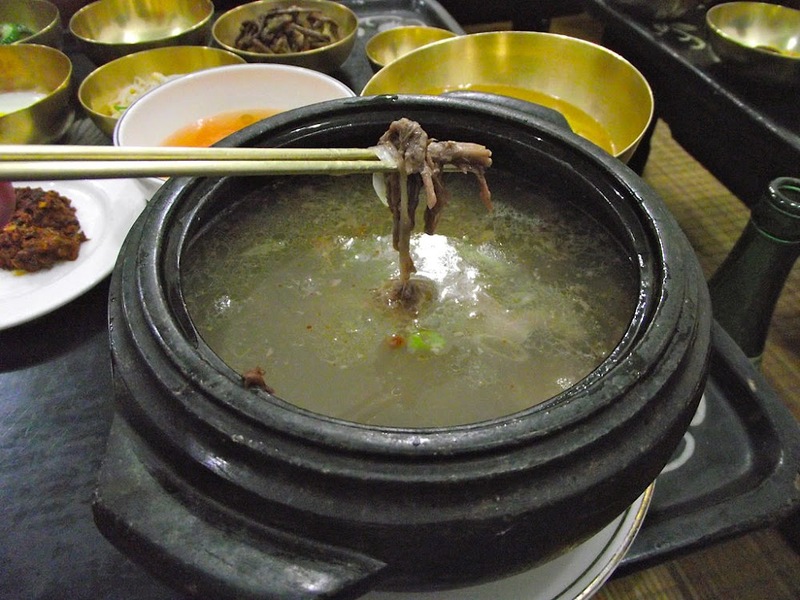 Dog meat soup at Kaesong Folk Hotel, Korea. Image: Mark Fahey. The anatomical dissections of a Russian butcher are extremely simple. Bones and meat having been all rendered equally hard by the frost, it would be difficult to attempt to separate the several joints. The animals are, accordingly, sawn up into a number of slices of an inch or two in thickness, and in the course of this operation a quantity of animal sawdust is scattered on the snow, whence it is eagerly gathered up by poor children, of whom great numbers hanut the market. So long as the frost keeps all liquid matter in captivity, and so long as the snow, constantly renewed, throws a charitable covering over all the hidden sins of the place, so long the ploshtshod looks clean enough, but this very snow and frost prepare for the coming spring a spectacle which I would counsel no one to look upon, who wishes to keep his appetite in due order for the sumptuous banquets of St. Petersburg. Every kind of filth and garbage accumulates during the winter; and when at last the melting influence of spring dissolves the charm, the quantities of sheep’s eyes, fish tails, crab shells, goat’s hairs, fragments of meat, pools of blood, not to speak of hay, dung, and other matters, are positively frightful. Another culinary delight: funduki, hazelnuts, presumably from the Turkish Black Sea coast, and hence relatives many times removed of the Spanish albóndigas, meatballs. So why shouldn’t I wet my appetite? City Music Services. Let me explain. And introduce my top 10 performing fish. Johann Georg Kohl (1): Johann Georg Kohl was a German travel writer, historian, and geographer. 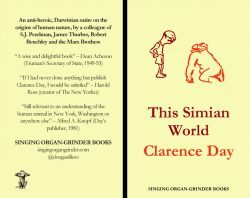 Next Next post: So where does Silvio Berlusconi stand on organ-grinders?